Dr. Zee Lo will be conducting several workshops on the Yang style Tai Chi Chuan and Qi Kung at the San Francisco Public library Branches. The workshop is aim to provide relaxation and energy replenishment through the use of subtle and slow movements. The worldshop will be conducted in both English and Cantonese. All beginners are welcome, for scheduled workshop go to: www.sfpl.org or check back here later for updated info. (CBS 5) SAN FRANCISCO Americans are spending more money than ever on new anti-aging methods. But a doctor says his non-surgical, non-chemical technique can take years off your face. The fountain-of-youth claim is based in ancient Chinese medicine and Dr. Zee Lo practices it today. The acupuncturist says one patient can look 10 years younger with a procedure used hundreds of years ago by Chinese royalty: the acupuncture facelift. Lo inserts hair-thin needles, about a dozen of them, into a patient's wrinkles and depressions. "When they first go in, they feel like a prick, and in some places, you don't feel anything," said Roseann Gould. The needle is thread just below the surface of the skin. That triggers circulation between the face and internal organs stimilating the nervous system or what's called "Chi." Getting that energy flowing stimulates face-firming collagen production. After 20 minutes, Lo removes the needles and the treatment ends with a 10-minute massage. One treatment is not a one-time cure for wrinkles. Drastic results require eight to 12 sessions. "This could last several months," Lo said. "Some people claim it lasts for years." Lo says patients should return for maintenance. Watch the news clip here and refer to article 3 below. I want to start the first column by going into the protocols of Traditional Chinese Medicine, abbr. TCM. TCM has continued to increase in popularity within the past 10 years, especially in the L.A. area. There are now over 2000 licensed acupuncturist in the L. A. county area. 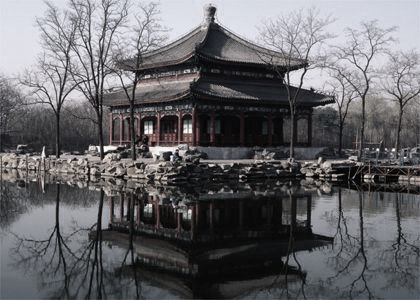 With an increased number of patients, there is also a need for TCM education. While most laymen are only familiar with the term acupuncture, California licensed acupuncturist are also practitioners of TCM, which encompasses acupuncture, acupressure, exercises and herbal remedies. Hence, in this new letter I will stress the abbr. TCM instead of acupuncture. Most westerners associate TCM treatments with pain relief. Indeed, TCM has been proven to naturally produce endorphins in the human body. Thus, TCM can treat a variety of pain disorders. However, this is only the tip of the iceberg! TCM actually balances and stabilizes the body's chemistry. It can relieve pain, reduce inflammation, strengthens the immune system, increase blood count, relieve stress and maintain bodily functions. In fact, over the last 15 years in California, I have treated all of the above mentioned conditions. TCM definitely does much more than just relieve pain. The majority of the time, pain and acute problems bring the patient in for treatment. Ideally, patients should seek preventative treatment before a condition develop. Some conditions can be treated successfully with one or two treatments. Others may require a few more, depend on a number of factors. I evaluate the patient's condition each time and structure the frequency accordingly. Once the condition is alleviated, I recommend one or two options:continue treatment a few more times to totally cure the condition, or to return once a month for tune up and strengthen the body, so that the likelihood of the condition returning is decreased. I call this latter type of treatment preventative treatment. In summary, there are 3 kinds of treatment: treatment of disorders, preventative treatment, and strengthening treatment. I recommend that everyone get a preventative treatment once a month, as this will prevent an acute attack such as a flu. On the horizon of longevity, anti-aging and rejuvenation, I recommend strengthening treatment. Strengthening treatment will be discussed at length in the later articles. Early each morning near the Marina, local residents peer out of their windows to see a group of their neighbors, surprisingly nimble seniors in their sixties and seventies, progress through the slow, steady movements of Tai Chi. This scene can be witnessedacross the country, as a rapid growing number of people are seaching for, and finding new approaches to healthcare. Increasingly, today's patients are choosing natural healing methods in addition to the scientific and technological treatments of Western medicine. Specifically, the application of Chinese medicine in the United States has spiked upwards dramatically over the past two decades. Patients are drawn by its natural and wholistic healing methods and report impressive results. However, patients also discover that modern Chinese medicine not only applies the core treatments of acupuncture, herbal formulas, massage and exercises, but also blends them with thre scientific knowledge og f Western medicine. Western science has responded with studies demonstrating how the stimulation of acupuncture points produces positive physiological reactions in the body. Proven effects included changes in heart rate, blood pressure, digestive function and blood chemistry. Contrary to old-fashioned conceptions of conflict between the schools of medicine, a new age of healing has sprung from the complementary union between Chinese tradional theory and Western science and technology. Chinese medicine emerged from the anicienttribes of prehistoric China who found natural remedies in wild herbs. Meticulously passed on through the generations, Chinese medicine has evolved into the fresh practice it is today. Nowhere is this growth spurt more evident than in the San Francisco Bay area, long hub of Chinese roots in this country. With a well established Chinese community, local practitioners of traditional medicine have always seen constant flow of clientele in the Bay area. However, as word of these natural healing methods spreads to the boarder community, a new generation of patients are learning just how effective Chinese medicine can be. Practitioners are responding to this diverse and evolvong medical environment by addressing the health concerns of patoients old and new alike. Additionally, modern living has produced modern ailments which Chinese medical doctors are treating accordingly each day. For example, Chinese medicine has developed a specialization in the treating sports injuries, common in California's fitness conscious population. Also, as the toxic environment and poor eating habits of contemporary living produce high numbers of cancer and organ disease, Chinese medicine increasingly targets these illnesses. And due to the stress of daily life, many have found relaxation, peace, and solace in the art of Tai Chi, the physical and spiritual exercise element fof Chinese medicine. The challenges of new ailments have not only produced a blend of traditional and modern treatments, but also dynamic doctors to apply and develop this field of medicine. One such practitioner, Dr. Zee Lo, has brought Chinese medicine to the forefront through treatment, training, and public education. Destined at an early age, a young Zee Lo surrounded himself with Chinese medical knowledge in a Hong Kong herb shop, learning first hand from traditional Chinese medicine doctors and herbalist. As a prodigious young doctor, Lo continued his medical education later in the United States, culminating in two degrees, a Doctorate of Oriental medicine (OMD) and a Doctorate in Philosophy (PhD). Now, with many years of experience, Dr. LO continues to treat patients, appentice medical interns, and lecture at state accredited acupuncture colleges and medical universities. An accomplished athlete of competitive sports and martial arts, Dr. Lo has develpoped a specialty in sports emdicine and treatment for anti-aging and rejuvenation, although he treats the wide spectrum of illness that his patients bring to him. Dr. Lo envisions a society centered on healthy living and shares his ideal by training interns with practical experience and academic study, leading to full licensure by the California Acupuncture board. Further more, Lo has shared hisa knowledge and expertise with the boarder medical community by writing acupuncture texztbooks, as well as producing the Dr. Zee Lo series of medical and health videos. Now, Dr. Lo continues his vision of health by sharing his experience and training with the general public through "New Age Healing and Fitness" a weekly television series focusing on health from the dynamic prespective of Chinese mediocine, each week a health related topic will be introduced with demonstrations of acupuncture, Tui-Na, Tai Chi and energetic exercises. In a comfortable and informal setting, this show, on Los Angeles Adelphia cable channel, act as a forum in which to share questions and knowledge on health and to aid the viewers with managing their own healthy choices. Tune in every Monday night on Adelphia cable Ch. 98, and in the San Fernando Valley every tuesday night on Adelphia cable Ch. 25 to join the evolution of medicine. Thank You Dr. Zee Lo! Acupuncture facelift is the alternate healthy option to surgical facelifts. Acupuncture facelifts can work for both men and women. Even the procedure is not well established in the United States, it has been used for thousands of years in China by the emperors and the wealthy. The procedure of using acupuncture combined with acupressure and herbal treatment is effective in minimizing fine lines and wrinkles, lifting the face and the chin, pluming the cheeks, reducing the depth of deeper lines resulting in a brighter and smoother face. Acupuncture increases collagen and elastin, improves muscle tone and slows down the aging process. 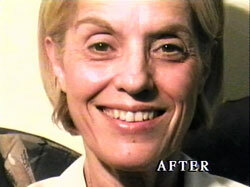 Acupuncture facelifts has a much more dramatic effect then surgical facelifts. Besides the obvious visual changes, patients have reported improved digestion, better quality sleep, reduction of hot flashes, elimination of mild depression annd anxiety, improved energy, and an overall sense of well being. With acupuncture facelifts, the patient is actually getting younger from the inside out because the patient is being treated accordinng to the theories of Chinnese medicine....it's a lot more than just skin deep! And, none of the potential side effects of regular procedures such as plastic surgery, botox injections, and derma abrasions. In today's world where the body gets bombarded with toxins, steroids and quick fixes, acupuncture facelifts on the other hand provides the patient a wholistic view of their body, inside out! It provides a beautiful way to get in touch with the individuals innate beauty. In contrast, while surgical facelifts can create drastic results, it changes the texture and structure of who we are and assaulting the health of our bodies. Wrinklles are caused by a loss of energy and balance according to the theory of Chinese medicine. The proper treatment involves increasing the energy and corrects the energetic balance by tonifying or sedating the proper lines of wrinkles that the patient has. There are some complicating factors such as chronic illness, smoking, excessive exposure to sun light, stress and prescribed medications. 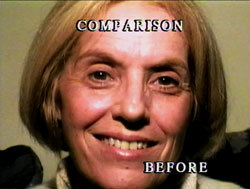 During the facelifts, it is painless and safe. There are no recovery time, no pain and no scarring involved. The patient starts from an initial examination and evaluation, they are usually suggested a course of treatment between 10 to 20 times, thereafter they may be treated every month or two to maintain the improvement they gained from the treatment. Or just before an important social to look their best. Do not let your work over-exert your body. You need to rest and replenish so that you can work again. Do not let your emotions overwhelm you too much and too long. 30 minutes of afternoon nap does wonders to replenish energy in the middle of the day. Do not be distracted by unnecessary chores or trivial matters. Repeat positive affirmations frequenly throughout the day. Avoid talking and thinking about things that you don't want to happen.